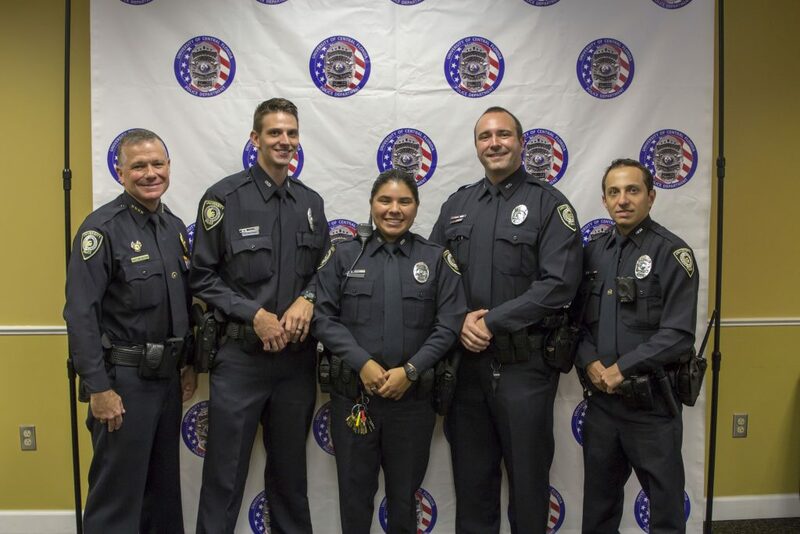 On Tuesday morning, the University of Central Florida Police Department swore in five new officers, some UCF alumna, while promoting four officers. 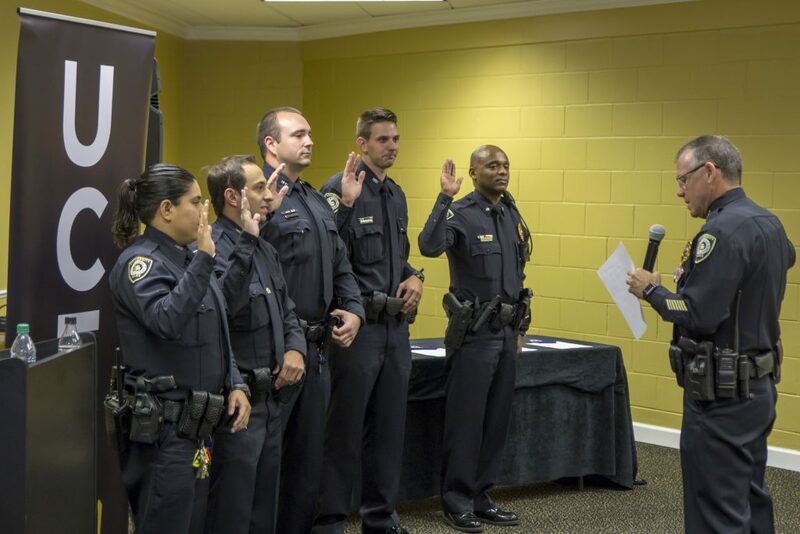 Commander Darnell Hill, the fifth new hire who will oversee the patrol division, will join UCF PD after 26 years of service with the Orlando Police Department. 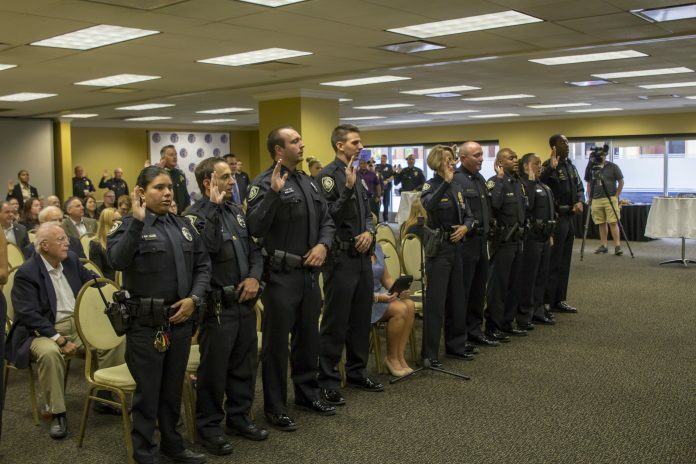 Police chief Carl Metzger conducted his first ceremony as chief. Metzger took over for Richard Beary after the former chief retired Spring 2018. “Personnel play a critical role in supporting my goals for UCFPD’s continued press toward professionalism, progress, and innovation,” Chief Metzger said.